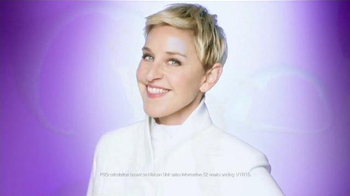 Comedienne Ellen DeGeneres, wearing a white, futuristic ensemble, teleports into a purple room and advises viewers not to purchase makeup that settles into lines. 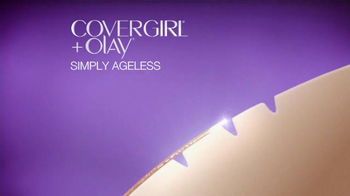 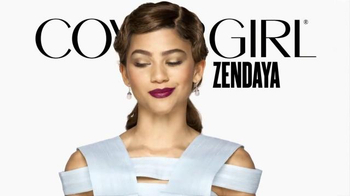 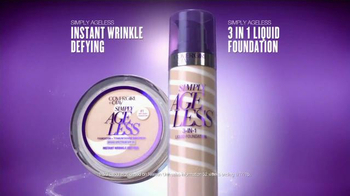 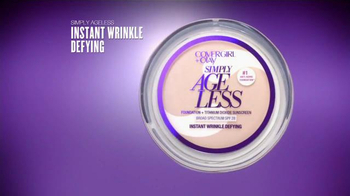 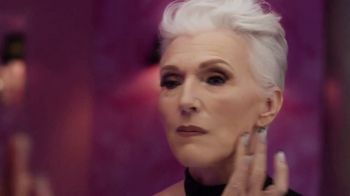 She recommends Simply Ageless Instant Wrinkle-Defying Foundation from CoverGirl and Olay, which features B vitamins and SPF. 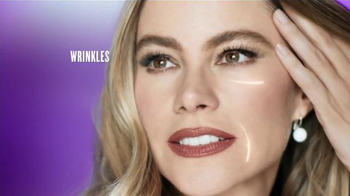 Actress and star of "Modern Family" Sofia Vergara teleports into the room joining DeGeneres, and recommends Simply Ageless 3-in-1 Liquid Foundation. 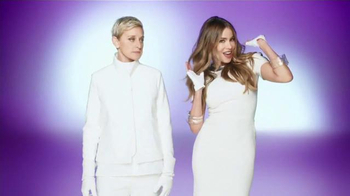 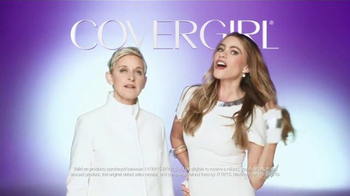 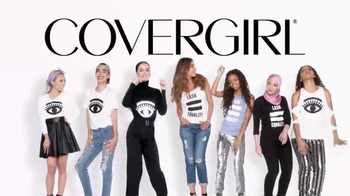 As the women pose for the camera, Vergara unknowingly whips DeGeneres with her hair and when they proclaim "Easy, breezy, beautiful CoverGirl," DeGeneres wonders aloud why Vergara sings the slogan.